A new housing lottery in Williamsburg is accepting applications from middle-income renters. 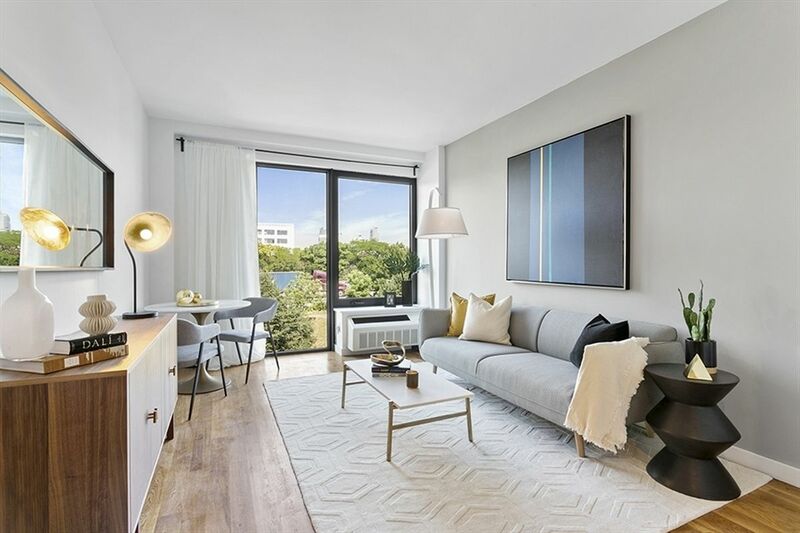 Rents for the 123 Hope St. apartments lottery start at $1,231 for studios and go up to $2,759 for 2-bedrooms, varying with income and household size. Prospective renters should apply through NYC Housing Connect before the deadline of May 6, 2019. To apply, you must meet the household income requirements. These are set from 80 to 120 percent of the area median income (AMI). In gross annual income, that translates to between $44,160 and $135,240. Applicants with disabilities impacting their audio, visual or mobile facilities receive special preference. Residents of Brooklyn Community Board 1 also receive preference. Designed by Aufgang Architects, 123 Hope St. boasts luxury interiors and a roof deck with skyline views. Renters can look forward to laundry facilities, gym, communal lounge and bike room. The seven-story, 136-unit complex is located in the thick of Williamsburg’s nightlife and restaurant options. It’s also a short walk to both the G and L trains at Metropolitan Avenue and Lorimer Street stations, making getting around the city a cinch. For the lucky renters who work from home, there’s even an onsite co-working space.